A Sculptor often works with a number of different mediums to create pieces of three dimensional visual art. 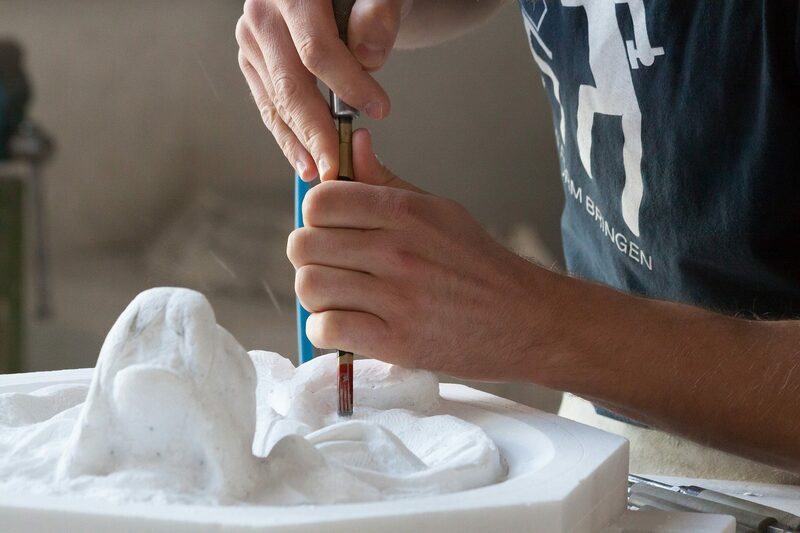 Traditionally working with stone, metal, ceramics and wood - there is now in reality almost a complete freedom of materials and processes available for sculpture, including newly developed materials and technology-enabled methods. Traditional carving (removing material) and modeling (adding materials like clay for example) can be used on their own or combined with other methods like welding, casting or molding to create pieces for all sorts of clients and organisations. Most sculptors work freelance, so rates of pay and hours can vary greatly depending on the type of project or commission. There is no defined careers route and skills are more highly regarded. Art and design qualifications may help you with the skills you need as well as add validity to any application or bid for work. You will need to accrue experience on personal and commissioned projects in order to demonstrate your skills and reputation and continually update and maintain a portfolio of your works to demonstrate your abilities.